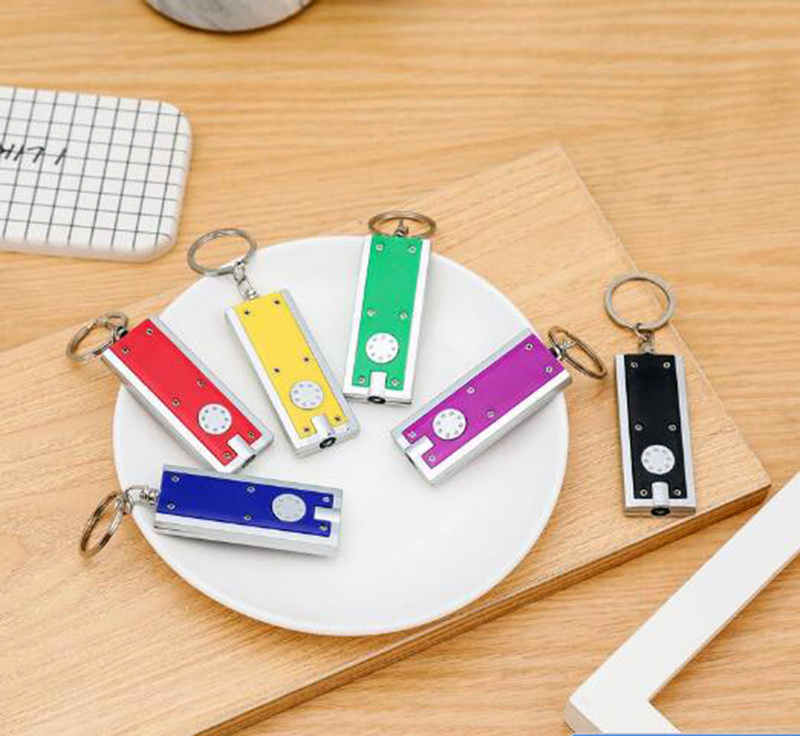 Slim flash light with super bright LED light. Flat rectangular body Long life button batteries installed. Great gift for flashlight key holder, key tag, keychain, key ring, safety program, emergency, travel and self promo's. Price includes 1 color 1 side 1 location with silkscreen. Product Colors: Orange, Red, Blue, Green, Yellow, Purple, Black. Imprint Size: 0.5" x 1"
Package: 1 pcs/poly bag, 1000 pcs/ctn, 35 lbs/ctn.